You’re driving home after a long day at work and can’t wait to change into some comfortable clothes and relax. Suddenly, traffic comes to a dead halt. You turn on the radio, listening for a traffic report, and hear that there is an accident ahead involving an 18-wheeler. It’s an all too common occurrence on our roadways. 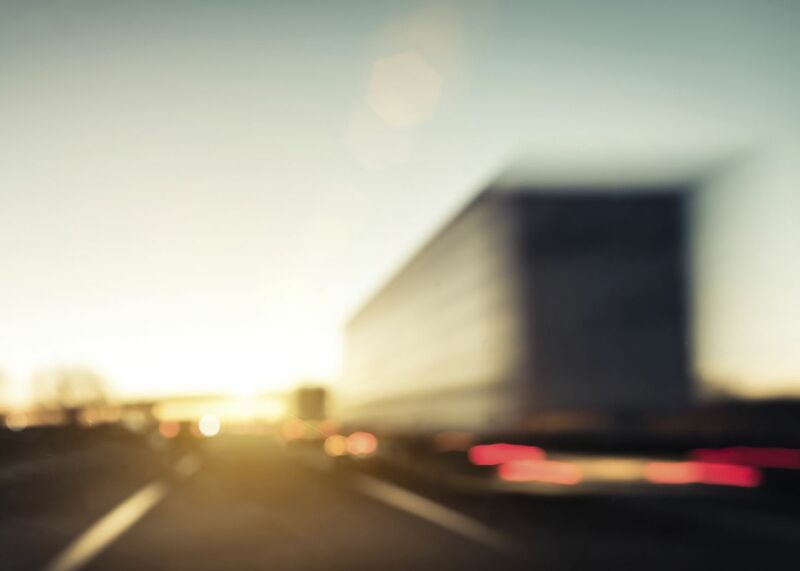 When auto accidents involve 18-wheelers, the results can be traumatic, if not fatal. Having an experienced auto accident attorney by your side may help you obtain the maximum case value allowed in court, so you can return to your life as soon as possible. To learn more about 18-wheeler truck accident causes, contact our Brooklyn, NY practice today. In 2009, according to the Federal Highway Administration (FHWA), large trucks with a gross weight over 10,000 pounds made up about four percent of the 254 million vehicles on the road. In that same year, large trucks accounted for about six percent of all vehicle crashes and ten percent of all vehicle-related fatalities. The total cost of these accidents added up to $48 billion. Because these trucks are so much larger and heavier than other vehicles, the drivers and passengers of the smaller vehicles are usually the most harmed victims, being injured or killed, in these accidents. There are many factors that can lead to an accident involving a large truck. Distracted Driving - Operating a tractor-trailer requires the full attention of the driver. Any attempt to multitask, by talking or texting on the phone or trying to change the radio station, can have disastrous results for both the truck driver and other drivers on the road. Fatigue - Truck driver’s schedules can be very demanding, increasing the likelihood of driving while fatigued. Studies have shown that driving while fatigued is just as dangerous as driving drunk. Driving when you are too tired can lead to drivers failing to stop at red lights, failing to use turn signals or check their blind spot, or even falling asleep at the wheel. The government regulates the number of hours a driver is supposed to spend behind the wheel, but some drivers exceed the legal limitations, putting their financial gain above the safety of everyone on the roads in their route. Reckless Driving - Because of the size and weight of the vehicle, we expect the drivers of 18-wheelers to use extreme caution, but this is not always the case. Examples of reckless driving include not using turn signals, not checking blind spots, slamming on the brakes suddenly, speeding, and aggressive tailgating. You’ve likely witnessed this firsthand, if you’ve been a driver for any length of time. Improper Passing - Truck drivers may be limited to passing only in certain areas of some highways; on many roads, they are not allowed in the left passing lane at all. The truck driver is responsible for knowing these limits and practicing safe passing. Examples of passing improperly include using no-passing lanes, passing with limited visibility, and passing without checking blind spots or using turn signals. If you have been involved in an accident with an 18-wheeler, the first thing you should do is seek medical attention for yourself and any passengers in your vehicle. Contact the police to ensure that there is legal documentation of the accident. Do not claim fault or give a statement to any insurance company. If at all possible, take pictures of the accident scene, tire marks, injuries, and damage to vehicles. You can also get statements from witnesses, along with names and numbers. Once you have done all of this, contact an experienced auto accident attorney. At the Law Office of Gary A. Zucker & Associates, P.C. we will fight for you to obtain the maximum case value allowed by law. If you are involved in any kind of motor vehicle accident, contact our law office today for a free consultation. Having an experienced attorney at your side will allow you to concentrate on healing, while we handle the legal business.